He was a farmer and a member of Parks Ridge Church of God. He was a native of Russell County, KY, and a resident of the county at the time of his death. He was a member of a large, respected family, the son of the late Junie & Lorine Crockett Oakes. His wife, Helen Bernice Chumbley Oakes, survives. He leaves 12 direct and six step- living descendants. His final resting place will be in Parks Ridge Cemetery in Russell County. Lewell Dwayne "Beager" Oakes, 72, of Russell Springs, died Saturday, March 10, 2018 at the Baptist Health Hospital in Lexington, KY.
Funeral service for Lewell Dwayne "Beager" Oakes will be 1pmCT, Tuesday, March 13, 2018 at the Bernard Funeral Home, 367 N Main Street, Russell Springs, KY, with Bro. Kelly Burton, Jr., Bro. Daniel Hill, and Bro. Billy Silverman officiating. Visitation will be 2pm-8pmCT Monday, March 12, 2018, and after 8amCT, Tuesday until funeral time at 1pmCT. Interment will be in the Parks Ridge Cemetery. He was born May 26, 1945 in Russell County, KY. He was the son of the late Junie & Lorine Crockett Oakes. He died Saturday, March 10, 2018, in Lexington, Fayette County, KY, at the age of 72 years, nine months, and 12 days. 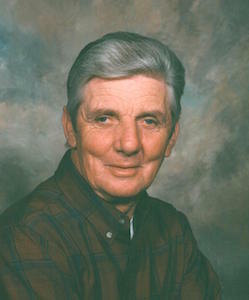 Lewell was a farmer and a member of Parks Ridge Church of God. In addition to his parents, he was preceded in death by a daughter, Rebecca Jo Oakes. Bernard Funeral Home, 367 N Main Street, Russell Spring, KY, is in charge of arrangements. 2018-03-11 - 367 N Main Street, Russell Springs, KY - Photo from Bernard Funeral Home.